I grew up in Miami and graduated high school in ’96. I wanted to get out of Florida and experience different people and different things. My parents had always taken my brother and I travelling while growing up. It pushed me to get out of Florida and showed me there was a whole other world outside of where you are raised. I ended up in Baltimore, Maryland at the height of the internet boom. I was young and excited. Kids were making millions overnight and the internet was in full swing. If you could dream it, you could make it and whether it made money or not people would invest in it. I don’t even think I knew what Guerrilla Marketing was. I was entrepreneurial and loved the idea of creating something new. You can read about my first online company I started in college here. Anyhow, the sky was the limit and I could build whatever I wanted. I was going into my sophomore year of college I came across an opportunity to work for a internet startup company based out of DC. The company was VarsityBooks.com. 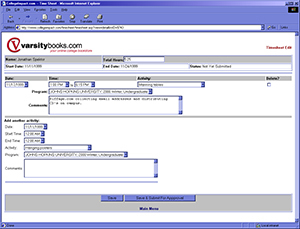 Varsity Books had a simple model. They would sell the same textbooks that the school book stores sold and offer them at a discounted rate. Here is the original job posting. With price conscience students and parents who had sticker shock from tuition alone, the market was ripe for disruption. Varsity Books was looking for “Campus Representatives.” Essentially this was a glorified version of student campus guerrilla marketing reps. The pitch was simple. Sign up to be our exclusive campus representative and we would then give you a tiny percentage of all sales that came out of your school. You would be responsible for getting the word out and would be paid a minimal hourly rate for your work and then a percentage of the sales. I don’t remember the percentage but it was minuscule. I applied for the position and got it. I was psyched. To my surprise I got stock options and I believe they even flew me out to an orientation to educate us on the brand and what we would be doing. We spent a weekend learning guerrilla marketing tactics although it wasn’t presented that way. I had a paid job with the flexibility that I wanted, and was part of an internet startup. I was psyched. I had already signed up to be a greeter or welcome committee member at my school which was an excuse to be at school two weeks early to party. I was going to be there early and this would a perfect time for me to launch my campus guerrilla marketing tactics as well. This is where I would log my time and my team members to record our guerrilla marketing tactics for payroll. In addition to being paid I was able to hire a team of my friends to help implement my guerrilla marketing tactics. They would also be paid and could share some of the commission we made if we reached certain goals. It sounded too good to be true. So I flew up to school and got situated with orientation. Varsity Books had sent a huge box to my apartment filled with serious materials. These were the weapons I would use to implement my guerrilla marketing tactics. The box had everything. We had hundreds and hundreds of posters, staple guns, t-shirts, flyers, sidewalk chalk, Tootsie pops (Yes candy and hundreds of them) and hundreds of post-its (I still have some). We were stocked with goods and I was ready to conquer the campus. In addition to the physical products, they did an incredible job of providing templates for selling, promoting and rebuttals for potential problems. They had laid out directions and instructions for all of these guerrilla marketing tactics specifically geared to college campuses. I actually dug back in my archives and found all these templates. 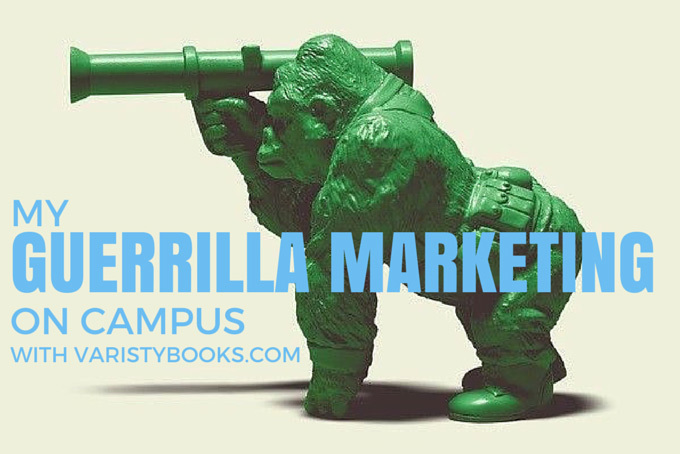 These are really helpful little guerrilla marketing tactics, ideas and templates specifically related to on-campus guerrilla marketing tactics when trying to drive online sales. Our approach to reaching the targeted audiences at Johns Hopkins will be quite simple and effective. The campus as a whole is no larger than a mile by a mile of active space. There are only about 3500 undergraduate students and there are common areas, especially during move-in, where the students generally assemble. Prior to the move-in day we will be placing posters throughout the dorms. There are a total of five on campus resident buildings. Each building consists of multiple floors all with bulletin boards located directly in front of the elevators and stairwells. We will be placing posters on every bulletin board within these buildings. 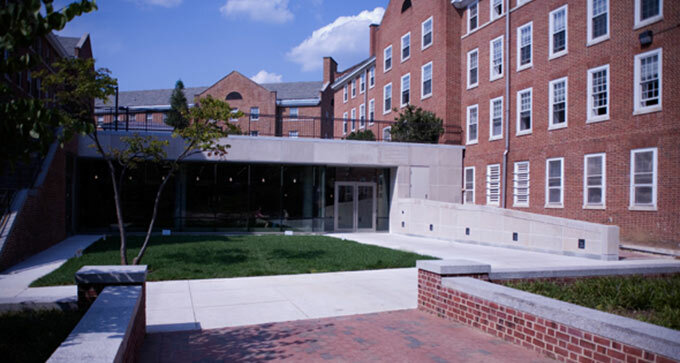 These dorms are not only for freshmen but also sophomore students. About half of the student body will see these posters and we will continue to post them throughout the first two weeks to make sure they have not been torn down or removed. In this first week, prior to move in, we will be contacting the Resident Advisors and distributing the white boards. At this time we will let them know about varsity books and advise them to recommend it to their students as a safe, cheap, alternative to the bookstore. In the first week we will be taking a trip to the bookstore as a team and each member will be responsible for assembling a list of books, that they feel are required for the largest classes. We will combine the list of books and prices and begin to complete price comparisons. We will be locating where these classes meet and will have these price comparisons posted for the first day of classes. Prior to move-in day representatives from multiple groups will be contacted about an affiliate program. Some groups include ROTC, and some Greek organizations. The main problem with this affiliate program at Johns Hopkins is that they receive credit for these purchases through their reference id link. None of the organizations have web pages yet. The few groups that do have sites that are never visited. I don’t believe this will be one of the strong points for JHU but we will be doing it anyway. At least we will be contacting more people and letting them know about the service and encouraging them to let their members know about the service. On move-in day we will be located in the freshmen quad, handing out tootsie pops and flyers to not only the incoming freshmen, but the upper class students that pass through the upper quad to go to the athletic center as well as the snack bar. We plan to be here the majority of the day, because this is a heavily populated area and we will be able to target parents as well as students. The area will be chalked in large letters as well many other entrance ways around the school. One of the major ways that we plan on reaching the student body is through the school newspaper. When we arrive on campus, we will be contacting the editor and giving them the template that we have been sent. We will be meeting with them and letting them know about the service and stressing that it is mainly a wonderful resource for the students, and it is something they should know about. 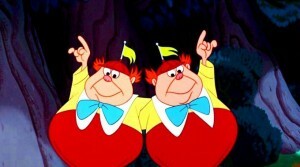 We will be speaking to the workers in the two mail rooms and asking how we go about stuffing the mailboxes. If we can get a flyer in every mailbox, this will be a very effective way of reaching the students. The freshmen arrive on campus and check their mailbox immediately (with their parents). The bulletin boards around campus will be postered and will be checked throughout the week to make sure the posters are still up. These are the ways in which we plan on reaching the students at Johns Hopkins and hopefully they will be effective. The information will definitely be presented to the students, it’s just a matter of their willingness to use it. Its amazing how close we ended up following the guerrilla marketing tactics we had laid out ahead of time. We started by going all around campus and stapling the posters to all of the boards around campus. Remember, we were at school early so we were able to canvas the entire campus the day before the new freshmen class was arriving. We plastered the boards with VarsityBooks.com posters. They were red and I don’t remember much else about them except that we had thousands. Because we had so many we went to town putting them up aggressively and all over the place. When we were done blitzing campus there was nowhere you could go without seeing these posters. Next was the sidewalk chalk. 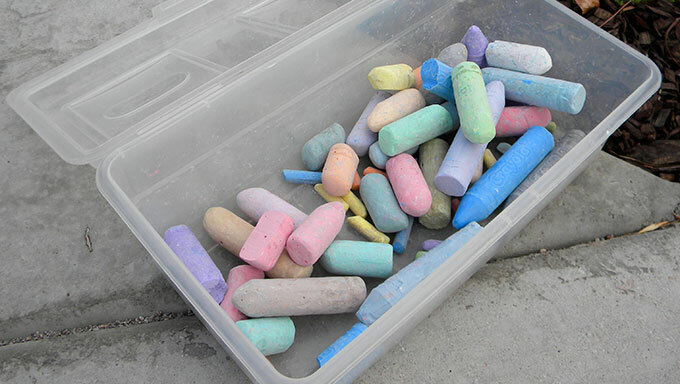 We got two buckets of the big daddy sidewalk chalk. We started writing on the sidewalks in the main thoroughfares around campus. We decided to go big and posted the message on all the sidewalks leading up to the campus bookstore. We had bold messages that said “SAVE UP TO 20% ON YOUR TEXTBOOKS.” It was aggressive but the more we went for it, the bolder we got. We then decided we would use the sidewalk chalk on the street. There was a main street that went in between two buildings that were student dorms at the time. These two high-rises probably accounted for 60% of the student housing. The street was visible from all the windows within the building and to every car that was dropping students off. These dorms were mostly for sophomores and juniors and we went for it. We wrote VARSITYBOOKS.COM and then the same SAVE UP TO 20% ON YOUR TEXTBOOKS the full width of the street. It was enormous. By this time we had gotten wind that our posters were starting to be removed from around campus. As trained guerrilla marketers we weren’t discouraged and we had thousands to go around. We came back in the evening and plastered them up again all over the place. The next morning was orientation and the freshmen were all being dropped off for the first time away from home. Most of them were accompanied by their parents and we wanted their parents to see the posters more than the students. In most cases they were the ones buying the books anyhow. We got up early and decided we would go over to the cafeteria. The cafeteria was where all freshmen students would go after arriving to check in and get their ID and receive any other orientation information they were going to need. In the cafeteria was a semi-circle of six foot tables that were each manned with a various group or organization from the student body. Each new arrival would make their way around each of the tables gathering information about the nurses clinic or the food plans or various other school related things. At the end of the circle there was an empty table. A light went off in my head. The guerrilla marketing tactics and strategizing had worked. I went over to the lady who appeared to be in charge at the time and politely explained that I was a student at the school. I told her that I was actually working with orientation and that I also was helping out a new internet company that offered all of our textbooks at very affordable rates. I politely asked if she would mind if we manned the table and gave out information to the incoming students as a way for them to save some money. She bit. She said, “No Problem.” We were in. I could barely believe what she said and had to keep a straight face. We hurried to bring all of our boxes of materials and literature and pamphlets and lollipops. Over the course of the day my girlfriend (wifey now) and buddies single handedly spoke to every single freshmen student and parent about getting their books online. We explained how the books were substantially cheaper than the school bookstore and was a no-brainer. Suffice it to say we knocked it out of the park. Unfortunately I didn’t really have a rep or manager or anyone to convey how amazing we had done. In hindsight I probably did but we weren’t exactly tight. I knew that my numbers would speak for themselves. We had absolutely annihilated the campus. I’m not sure that anyone from my entire school didn’t know about Varsity Books. So when the dust settled we had absolutely demolished our goals. I believe we actually had sales in the 22% range of the student body. You can’t hold me to it because this was about 15 to 20 years ago already but we crushed our goals. I ended up getting a bonus check for about $7,500 which at the time seemed like an incredible amount of money and I shared it with my friends. The most important thing I learned though from the whole experience were guerrilla marketing tactics. This was the first time I had learned how to approach things from different angles. 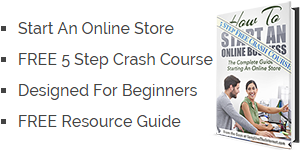 I learned how to drive online sales offline and I learned how to think outside of the box. The company ultimately ran out of cash. They went public but the options weren’t worth the paper they were written on. The domain now goes to eFollet which was a competitor at the time. I presume the owners made out fine but I know for sure I benefited substantially. I took some lessons and memories that I will never forget and for that reason I’m always thankful to VarsityBooks.com and truly learning about campus guerrilla marketing tactics. Are you interested in learning some of our other Guerrilla Marketing Tactics we use to drive online sales for our products? You can read more about our successful online businesses here. Join our email list to here more amazing stories and learn how to drive sales online.